Today I found out why Pop Rocks pop. Much like other hard sugar candies, Pop Rocks are made primarily of sugar, corn syrup, water, and artificial flavoring. It turns out, what causes it to pop when it comes in contact with the moisture and heat in your mouth is not due to any ingredient. Rather, it is due to the way the candy is made, which we know in detail thanks to the fact that the manufacturing process is patented and thus the process is laid out for all to see in the patent. Basically, what they do is heat the ingredients together, bringing the mixture to boil. They continue to boil it until the moisture level descends suitably so that a thick syrupy substance remains. In normal hard sugar candies, this substance is then put in molds and allowed to cool and harden. With pop rocks, they expose the hot mix to carbon dioxide at about 600 pounds per square inch worth of pressure. This ends up forming very small bubbles of carbon dioxide within the mix. The substance is then cooled and subsequently hardens. Once the hard candy is formed, the pressure is released. This causes the candy to shatter, leaving small nuggets of hard candy, which are the Pop Rocks. Many of these nuggets still contain pockets of carbon dioxide kept at relatively high pressure. When the candy hits the saliva in your mouth, it quickly dissolves the thin barriers containing the pressurized carbon dioxide. This results in the bubbles bursting fairly quickly, releasing the trapped carbon dioxide, often with sufficient force to cause the candy to pop and sometimes jump in your mouth. Pop Rocks were invented by Chemist William A. Mitchell, who worked for General Foods. He also invented Tang, Cool Whip, quick-setting Jell-O, a tapioca substitute, and powdered egg whites, among other things. All total, he received over 70 patents in his lifetime. Contrary to popular belief, Tang was not invented for the space program. Mitchell invented it and through General Foods introduced it to the public, but it wasn’t popular. Eventually, NASA decided to use it in the space program, which took the previously unpopular drink and made it nationally popular. With most people being introduced to Tang for the first time through the space program, this lead to the misconception that it was invented for that program. Also contrary to popular belief, Pop Rocks are not dangerous to eat, even when mixed with carbonated beverages. This urban legend popped up just a few years after Pop Rocks hit the market and the company was never successfully able to convince the masses that there was nothing too it, despite aggressive campaigns to do so. 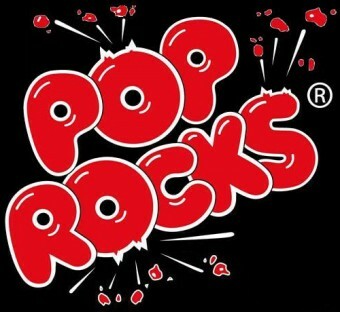 In the end, Pop Rocks were discontinued on a large scale due to poor sales, not because of any danger in eating them. Not to nitpick but I would certainly consider the inclusion of carbon dioxide an “ingredient.” Accordingly, the first ingredient on a bottle of Coke is carbonated water and not just water.